I’ll just be super honest – my expectations were not real high for this book as I thought this was basically going to be a teenage version of The Hangover. I’m happy to say that I was proven wrong from the very first page, as I was instantly pulled into Kylie’s story. 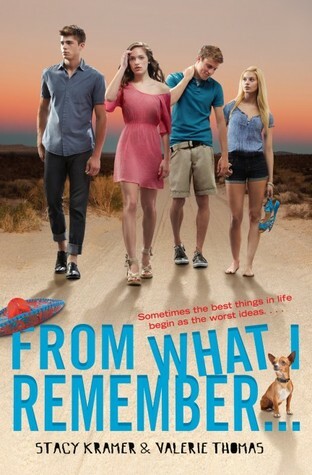 This book chronicles the events of a few days in the life of a “good girl”at the end of her senior year. Desperate to save her graduation speech when her laptop falls into peril, Kylie puts herself into that same perilous situation and pulls several of her classmates along with her. The story is so exciting and well paced that you don’t even realize it’s close to 500 pages long until you look up and realize it’s 2:00 am and you’re still reading. 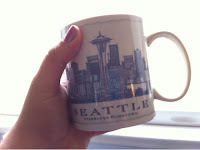 If you’ve read my other blog posts, you know I love a good multiple POV story, and this one has FIVE. The numerous points of view were a little distracting in the beginning, but by the time I was really into the story they were a total asset. I love getting to see how other characters are thinking and reacting to various events in a novel. In this case, we get so many opinions of the same events that the story feels more rounded and complex even though it takes place over a short time period of three days. The authors, Stacy Kramer and Valerie Thomas, both have backgrounds in film – this would explain why the book has a movieesque feel to it as it moves beautifully from scene to scene. The book would make a great movie, actually. I’d go see it. This book is definitely for the 10th grade and up crowd, I think. The characters engage in some behaviors that I wouldn’t really condone, but every action has a very real consequence in this story. My only slight criticism of this is that the authors kind of beat you over the head with the homosexuality of one of the characters. I mean, it’s good to have diverse, well rounded characters, but this one seemed pretty stereotypical and over the top. All in all, From What I Remember is GREAT FUN and well worth reading. Enjoy! In honor of Halloween (really, a holiday focused on dressing in costumes and gathering mass quantities of candy from strangers is all kinds of fabulous), I have to share with you a few of the books that really got me to like reading. Like, way back in the day. I never really liked reading until I discovered scary, suspenseful books. My mom and aunts bought me things like Little House on the Prairie and stuff, and it just wasn’t my thing. No offense to Laura Ingalls Wilder or anything, but I am a city girl through and through and couldn’t care less what was happening outside of civilization. 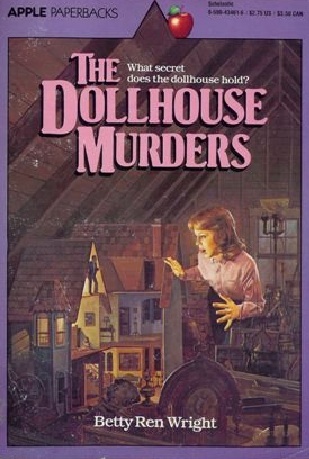 Anyway, the very first book I remember reading on my own and really liking was The Dollhouse Murders by Betty Ren Wright. It was the first book that had my attention and left me wanting to know what would happen next. I guess my love of mysteries should have been a forgone conclusion based on my early childhood love of Scooby Doo, but this was the first one I ever read. Of course, it scared the crap out of me too… and, as I look at the cover, it looks crazy cheesy now, but man I loved it. The protagonist in this has to stay with her aunt, and the dolls in the dollhouse reenact an unsolved murder that took place years previously. Super creepy. 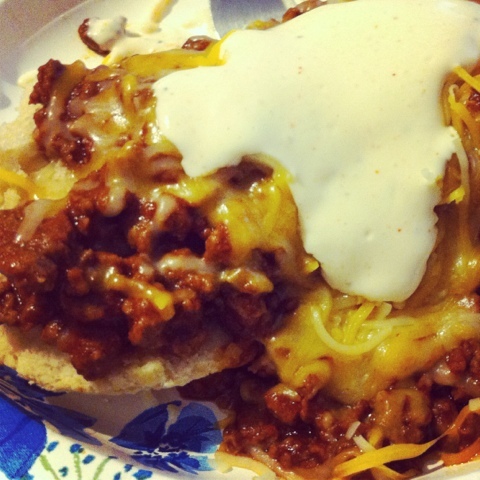 Super good. Of course, my love of a good mystery didn’t end with the thrilling conclusion to The Dollhouse Murders. It was only the beginning. From there I moved on to books by Christopher Pike, Lois Duncan, and R.L. Stine. 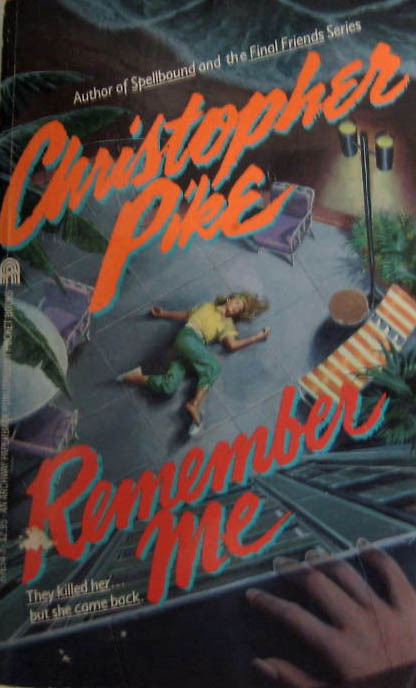 Christopher Pike was my favorite, hands down, and the one I remember liking a whole lot was Remember Me. Of course this cover is way dated and looks exactly like it did when I read it in the 90’s, but I’ve noticed some of Pike’s books with updated covers showing up in stores recently, which is great because I hope they turn another generation of students into avid readers. Reading these horror/suspense/mystery books from these authors turned me into the kind of reader that could finish a book or two in a weekend. For me, that was a real accomplishment. No wonder I’m a messed up human being. These books look scary! You could say these books influenced me to be an English teacher. Part of my passion as a teacher is to help students find books they LIKE to read, and these are the books that made me like reading. If either of these sound like books you’d be into, check them out! Happy Halloween, and enjoy! If you’re a Goodreads member, add me as a friend! I always keep up with my reading lists on Goodreads – what I’m currently reading, what I’ve already read, and what I’m hoping to read soon. It’s way easier than trying to write stuff down, and the mobile app is great. (I swear my iPhone changed my life for the better, and this is just one of the ways! Haha.) Seriously though, I’d love to connect with my fellow readers on Goodreads. I love to see what you’re all reading and what you think of it. I’m also always interested in your recommendations… What books should I be adding to my “to read” list? I have always, always, always wanted to travel, and since I took six years’ worth of French classes, Paris has been at the top of my travel list since I was in eighth grade. So, of course, I couldn’t resist a book with this title, with this cover. I mean, come on. AND it kept showing up on all kinds of lists of top YA books. I want to live inside of this book, which I think is the highest compliment I could pay to it. Love, love, love it. Visit the author’s webpage here: http://www.stephanieperkins.com/ and make sure you check out the companion novel, Lola and the Boy Next Door, too. It was very good as well, just not quite as magical for me because of the whole Paris thing. Enjoy! We have the good fortune of having beautifully warm fall seasons here in NC, and the last few weeks have been downright glorious outside. Until today. I blame Hurricane Sandy, but I know nothing about how weather works, and I generally don’t care. I do know, though, that it is suddenly cold and windy outside. I’m not a big fan. I have literally devoured three Simone Elkeles books in the last 48 hours. She is very quickly becoming one of my favorite authors, and with a book cover like this (HELLO could that be any hotter) I don’t know why it took me so long to discover her. I started reading her books with the Perfect Chemistry series last weekend. I absolutely fell in love with the Fuentes brothers. What I loved most about this series was that each book was connected by the Fuentes family, but each book featured different main characters. One of my biggest pet peeves when it comes to book series is that inevitably the romance will be on again, off again in the interest of creating conflict and drama. In this case, though, that wasn’t an issue as each book centered on a different couple.The other thing I appreciate about this series is the alternating point of view – there’s nothing better than getting both main characters’ take on things. Because of the language and sexual content, I don’t recommend this for readers below 10th grade. The books I read this weekend were from the How to Ruin series. I love, love, love them… They made me wish I’d be forced to go to another country and meet some family I didn’t know I had. I think my favorite thing about this series is their protagonist, Amy. As much as I like alternating points of view, I also value a good, strong protagonist with an interesting view on life. Amy describes herself as a pessimist, but I don’t really think she is. She’s sweet, funny, smart, sarcastic, and hopelessly romantic even in spite of herself. Amy grows and matures so much throughout this series that I think she’s a wonderful role model for teenage girls. Language and sexual content in this series is still there but is less of an issue than it was in the Perfect Chemisty series. I recommend these for 8th grade and up. I guess my one major observation about Elkeles books that I wish was different is that every romantic relationship is contentious. They’re explosively passionate, which is great fun to read and dream about having, but they almost border on love/hate relationships, which doesn’t seem healthy. Don’t get me wrong – all of the romances contained in these books are great reads – I just hope that at some point in the future I’ll read a book of hers that has a little less arguing, drama queening, and general strife. Check out more from Elkeles at http://simoneelkeles.com/!